A dry history text book lulls us into the complacent idea that one time always splits neatly into the next on a precise date. This way of thinking leads us to misinterpret our own time. But surely, people back then had some idea when Julius Caesar took over that some new and drastic change was taking place even if they didn’t know what it was? Then I mention Caesar wasn’t even the first guy to march on Rome. A guy called Sulla had already been the first to do that. He used it as a way to destroy his political opponents and reshuffle the deck of the senate in his favor. People expected more of the same from Caesar and for the republican system to go on as it had for hundreds of years. If I want to keep shaking up the prim and tidy version of history I can mention that the military reforms of a guy called Marius re-aligned incentives so that troops first owed their pay and pensions to their general, not to the government, making the emergence of miltary strongmen like Sulla and Caesar possible and inevitable. At the time he did it, Marius was just trying to increase his own power and prestige in Rome and the senate went along with it so he could deal with the immediate crises presented by armies of Germanic barbarians. As the republican system proved too inflexible to deal with crises, precedents and rules were worn down one at a time until the old system gradually became something else we now call an empire. This fluid version of history makes people uncomfortable because it makes them start to think about their own time in a new way. When history is a mesh of gradualisms rather than clean breaks on memorized dates a smug sense of security evaporates. Anyone might reflect “The ancient Romans thought the Roman empire would never end in its heyday.” This feels comfortable enough because it fits well with the tidy history of discrete periods. The Romans had their time in the sun. So did the dinosaurs. In reality, once Marius smashed term limits for consulship and made his military reforms, the Roman Republic was effectively over in a practical sense. The control of the government over the military had been compromised and all government requires monopoly over the legitimate use of force. Once one learns to think in terms of the fluid version of history, it becomes possible to see where crucial pivot points lay that went without recognition or fanfare when they happened. Furthermore, there is an interplay of multiple pivot points. The rogue generals unleashed by Marius’ personal ambition might not have been able to overturn the republic had the popular opinion been overwhelmingly in favor of the system. The Roman Republic had a long tradition going back to its origins as a small city state of cooperation and compromise between the classes. Periodically, the proles had revolted and gotten concessions giving them limited representation in government and some safety nets. Perhaps the greatest concession the plebs ever got was a special political office created just for them, the tribune of the plebs. To compensate for their votes being counted less, they got two tribunes who had veto powers. As Rome grew richer and more powerful, this last obstacle to the elites became intolerable. As Roman territory became concentrated in the hands of just a few wealthy families, pleb revolt in favor of land reform was taken up by a tribune named Gracchus. Gracchus came from a wealthy family and was viewed as a class traitor(kind of how Trump is now.) This threat to the mega-estates of the ultra-rich resulted in Gracchus actually getting beaten to death by the senate. As if this wasn’t enough, Gracchus’ brother tried to step in and carry on the cause. He ended up committing to suicide to avoid also being beaten to death by the senators. For some reason reform attempts were never quite the same after that and the social tensions rather than being resolved just simmered as the elite tried to sit on the pot lid. 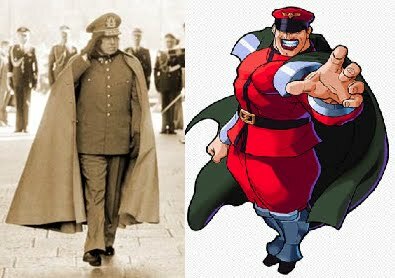 With this tension and disenchantment already well established, it’s unsurprising in retrospect that rogue generals could count on considerable popular support. It seems a rule across time and place that any elite class tries to eliminate all obstacles to the exercise of power and cut any bothersome obligations or responsibilities to a larger society. In a smaller-scale society like a city state, there is a limit to how far the elite can separate from the obligations of societal leadership. However, when there is a huge increase in wealth and territory, the elites try to use this rocket fuel to break free of the gravitational pull of the lower classes so they can rule the world below as they will from their untouchable elysium in outer space. If we apply the more fluid way of history to our own time, we realize the neo-liberal cultural revolution that took hold in the 1960s effectively ended forever in 2016 and we have entered a new historical period. Even those who desperately want to restore the old social order do so with a tribal sort of viciousness in stark contrast to the harmonious star trek utopia they had envisioned for mankind barely one year ago. Even as they yearn to go back, they are unable to appreciate the irony of how their fanaticism only fuels the formation of faultlines that will define a new age. Once we learn to ignore the dull farting tuba noise that is textbook history, we can see how Trump is a transitional figure and a pivot point. Those who believe in the system of periodic shoeboxes might say “He is trying to be a Caesar!” of course without understanding what that really means. Trump is more like a Gracchus, a Marius, or even a Clodius Pulcher that aligns forces in a new direction. Like transitional figures in the Roman republic, he will know not what he does as he helps begin the 21st century in earnest. The public discourse has sunk to a new low. Even John Kelly, an uptight pentagon general has triggered his very own mass moral hysteria by simply saying General Lee was “honorable” and wishing the US Civil War could have been prevented by compromise. The result of these boring, mild statements was a firestorm of pundit-powered opprobrium. Ordinarily, I ignore these stupid hand-wringing scares as there are several of them a day, but this one in particular catches my interest because it marks another step in a progression of rising frenzy since we started to see the destruction of confederate statues. I could ignore the pundits easily enough but what got my attention was actual historians like Ken Burns seeming to support this Maoist hysteria when he undoubtedly knows better. He doesn’t say that much here, but it is clear from context he was joining in the mass chastisement of General Kelly. Indeed, his rebuke went viral. Burns is the creator of an entire documentary television series on the Civil War that has been considered for years to be a classic of its genre. He is known to have a bias as all people do, but in any serious treatment of a historical subject, one expects the investigator to at least try to understand the motivations of the people he’s studying without just venturing to vilify and crucify them. Burns was trying to treat Kelly’s statements as though he was pushing the old Lost Cause argument that the war was really about States’ Rights. Kelly did not try to do this and it’s dishonest that Burns framed it this way for the benefit of a howling, angry mob. The “Slavery caused the Civil War. Period.” refrain has become an ingrained establishment reaction to anyone who would suggest that there’s anything more to the Civil War than diversity injustice. Their favorite evidence is the declarations of secession that unanimously mention slavery as their main motive for seceding from the Union. Case closed, right? The problem with their case is they interpret this to mean there was a seamlessly ongoing moral crusade for Black rights and freedoms from John Brown to Martin Luther King. The problem with their virtuous narrative is that slavery causing the war didn’t mean anyone actually cared about Blacks. The truth is, nobody really did except for a tiny handful of abolitionists who nobody liked. Slavery causing the war doesn’t mean what they think it means. The more important thing to understand about slavery is that it was an incompatible economic system with the wage-driven industrializing North. I suspect the moment Lincoln was forever set against slavery is when the institution arrived in Kentucky and depressed the local economy, playing a role in his family moving to Illinois. To really understand what slavery meant to average white people back then, you need only reflect on how average workers feel now about the onslaught of tens of millions of 3rd world immigrants. Slavery was incompatible because free labor was toxic to the wage economy. If anything, many people who opposed slavery would have despised the Black slaves, a seeming contradiction to revisionist moralizers. Any historian who tries to portray the US Civil War primarily as moral conflict should be banned from the profession. In reality, people were back then as they are now. The vast majority of people just cared about making a living. No one except a few fanatics wanted to go to war over moralistic crises. No one seems to impress on us now that the core founders of the United States were members of the Southern plantation culture. When we reflect on that, we much more easily realize why they saw themselves as the legitimate ruling class of America. Many of the Southern elite were the actual relatives of people who had signed the Declaration, fought in the Revolution, and helped draft the Constitution. The Virginia planters had been at the forefront of power, prestige, and cultural influence for decades by the time tensions began to escalate out of control and one of the rules of history is no elite class ever willingly steps down and allows itself to be replaced. Humans, whether elementary school janitors or Kings, tend to defend their accustomed social status at any cost. The industrial revolution disrupted the accustomed hierarchy in America by placing the Northeast industrialists and merchants decisively ahead of the Planters and this gap only widened over time. To make things, worse, the Northern aristocracy flooded their cities and the Midwest frontier with millions of immigrants who tended to be sympathetic to their agenda. The flood of immigrants was as big an affront to the Southerners as the democrats trying to flood the country with 3rd world foreigners is now. If there’s one phrase that seems to reliably cause moral panic complete with crazily rolling eyes like a spooked horse it’s “Three-fifths.” All anyone can ever seem to talk about is how everyone ran around telling Black slaves they were three-fifths of a man. In their hysteria they utterly miss the point. The Southerners were calling out the Northern elites for importing millions of people who would eventually be able to drown out the South entirely in Congress. As you might imagine, this proposition was unacceptable to them. The real point of the three fifths compromise is it was an attempt to buoy up the fading political influence of the South by counting each slave enough to preserve their power in the House. Until people can calm down and soberly evaluate events it’s impossible to understand the important thing was a political arms race that was taking place between two competing groups of elites. This same force was behind most of the other compromises, as well as the urge for territorial expansion of the US. The first American revolution was a revolt of local elites against the control of elites who were far away. The Southern elite saw secession as another iteration and continuation of what their parents and grandparents had started barely 70 years before. We have to understand that they saw themselves with some justification as the real United States that wanted to split off from New England as they had from England. The Southern leaders were arrogant, stupid, and decadent, though. They ultimately demolished their credibility by using heavy handed methods to try to keep rigging the whole system in their favor indefinitely, just like the present-day elites. The Kansas-Nebraska Act led directly to the birth of a Republican party singularly dedicated to opposing them and the final demise of their power over the system. The ridiculous Dredd Scott case(that a president did actually collude with) followed by the Fugitive Slave Act destroyed any remaining hope for coexistence. This duplicitous sleight of hand through control of the judiciary resembles the machinations of the present elite classes. The present rulers imagine themselves as Lincoln and Martin Luther King when in fact they are actually closer to Roger Taney and Jefferson Davis greedily clutching to the tatters of their power and trying with all their might to move back the inexorable hands of the clock. The present elites’ sanctimonious self-image very closely aligns with how secessionist planters saw themselves. The stupid mistake of the Southern leaders is they tried to lead the entire country as long as they could and only lobbied for secession when all hope of their dominance was lost and the best part of their bargaining power was gone. Instead of trying to rule by deceit through weak presidents like Pierce and Buchanan, they needed to go their own way, or negotiate their role as a member of a looser confederation with a revised constitution when it might have been possible. By the time Lincoln actually came to power, it was far too late for them to preserve their top positions in the hierarchy. Even then some kind of partition or understanding may have been possible. But stubborn to the end, Jeff Davis saw that enthusiasm for a partition was not as widespread as he liked, especially in border states outside the main plantation zones. The new order of power was swiftly becoming “normalized” and for Davis, this was unacceptable. All bets were off the moment he gave the order to Beauregard to fire on Fort Sumter. To Davis, this was the publicity stunt he needed to polarize public opinion and ultimately a final monument to the stupidity of the entrenched elites who went down kicking and screaming in rivers of blood. No class of elites ever goes down willingly so the important lesson normal people can take away from the American Civil War isn’t some sappy story with spiritual hymn music in the background. They need to realize that these present moral hysterias are the attempt of a declining elite to manipulate millions of ordinary people into scrambling to grab their chestnuts out of the fire. If people fall for it, they will find themselves shocked one day when they end up on the wrong side of history. And what about the Black slaves? African Colonial slavery largely disappeared worldwide by the 1880s to the 1890s even from places like Brazil where slavery had existed on a hugely greater scale. The importation of slaves had already been banned decades before the Civil War in the United States. In reality, slavery would have ceased altogether in the US within 20-30 years like it did everywhere else. The industrial revolution and the economy of cheap wage labor made slavery obsolete. Historians with a narrative to push never talk about this though because it conflicts with their interpretation of the Civil War as a war of liberation and the triumph of good over evil. History, however, rarely ever plays out like a story from a safe space coloring book. General Kelly was right to wish that a compromise had been possible because like many wars, the Civil War was ultimately a pointless slaughter. It was effectively a gangland war between the Crips and the Bloods that millions of ordinary people got sucked into and it did not affect the overall direction the winds of history were blowing in. The founders’ republic would have become a 19th century industrial nation-state in the mold of Germany, Italy, France, or Japan in that same period of history. Slavery would have died in the South on its own without 600,000 people killed in battle. Of course, the moralistic interpreters of the Civil War see those 600,000 lives as a necessary sacrifice for politically correct justice. Once we understand their love of pious bloodshed, we begin to realize why no one liked the extreme 19th century abolitionists. In their secret hearts, no doubt, all those dead Euro-Americans are probably just a nice bonus. I am no fan of Kelly who I see as a handler sent by the pentagon to make sure Trump sticks to their neo-con agenda and to cockblock their political enemies from having easy access to the president. Ironically, though, this first hand experience of being targeted by the shrieking masses will drive him closer than before to the Trumpian orbit. By all means, they should keep burning down Kelly’s establishment cred until he must side with the very forces he was sent to keep under control. All around the world, the development of nations correlates pretty well with a population’s average IQ. Therefore, we could designate a ruling caste based on IQ, right, and be better off? Easy enough. In real life, though, the high IQ upper middle class and above already has great power just by being high status trend-setters congregating in the center of big cities where all the machinery of influence lies. Yet rather than bringing in an age of enlightened rule, the SWPLs have consistently collaborated against their own people and tried to destroy their nation, from misguided feel-good idealism and putting their short-term gains first. We need only imagine for a moment what the USA would look like if the yuppie intelligentsia seized total control and enacted their agenda in full. The USA would become a temperate zone version of Brazil with no borders, no concept of unity, and crushingly low wages. Poverty, strife, and tribal warfare would run rampant. Just like the rest of the third world the SWPL elite would live in walled-off compounds where they would shop at Whole Foods and sip frappuccinos in peace, forgetting the rest of society exists while donating money to Somalia with crocodile tears of signalled virtue streaming down their faces—just like they do already. Actually, I’m sure they’d ruthlessly “gentrify” any areas they moved into, relying on their armed enforcers to force out anyone who couldn’t be removed by skyrocketing rents so they could have another cute shopping district where they could buy organic dog biscuits for their toy pets. Total rule by educated urban professionals would have been more violent, unjust, impoverished, and oppressive than Central American dictatorships. Already, they have long since lost the mandate of heaven through their gross negligence and incompetence, a fact even they are becoming dimly aware of as national politics steadily slips out of their control. Why were they as a group worse at ruling than any Joe Sixpack taken off the street would have been? At least average Joe might not have been actively malicious and contemptuous towards the people he’s ruling. The first, most obvious flaw, is lack of skin in the game. Rule from provincial capitals encourages disconnection. However smart someone may be, you have to have experience. You can’t become a doctor or a pilot by reading books. Having a culture that spreads equalist propaganda to people who don’t have the experience to know otherwise just makes it even worse and assures terrible leadership and government. Yet, they chose to accept what they were taught without critical thinking and swallowed the scam hook, line, and sinker. This fact is perhaps more significant. While IQ predicts the performance of population as a whole, it’s clear we need further criteria to determine who should rule. Clearly, personality traits, neurotype, thinking style matter just as much. A good example is the massive under-performance of East Asian people relative to their IQ and huge populations for many centuries even though they are objectively smarter than Europeans. Elite US universities have to include special subjective rules to ensure model minority students don’t become a majority. Chinese and upper-caste Indians outcompete whites without too much difficulty. Yet in spite of this, their homelands have been stagnant fiefdoms of foreign powers until recently. From what I’ve observed, they have the same problem as the SWPL lesser aristocracy. Their high levels of organization and extreme conscientiousness and work ethic makes them the perfect cubicle workers. But they are incapable of independent thought and action. Every friend I’ve had who’s been in academia says the same things about students from Asia: They cram and memorize stuff for when they need it, but don’t really understand the material. What’s more, many of them had to be in good favor with their government’s brainless indoctrination to get selected for foreign study in the first place. As far as I can tell, upper middle class whites are those most compatible with the Asian mindset and probably originate from similar selective pressures. Their neurotype and phenotype is just not as widespread. I recall watching League of Legends championships and noticed the few whites were as weedy, gracile, and diminutive as their Asian counterparts. Both the white and Asian players exhibited these traits to a greater extreme than an average Asian would. What we call “nerds” in the West simply became more normal in densely populated rice civilizations. Another test is necessary, then, besides IQ to determine a ruling caste. While autistic bean-counters are put to good use within the low to middle ranks of bureaucracy, they are incapable of rule. It is not even in their temperament to rule themselves, let alone others. There has to be a way to test for genuine curiosity and understanding as opposed to just manipulating symbols. Even more so, a barbaric penchant for internal locus of control rather than civilized unquestioning conformity. From my own experience and reading history, it seems humans come up with new ideas and conquer when they have good IQ and teamwork combined with just the right amount of barbarian wildness and individualism. It seems otherwise hard to explain how the rocky tip of the Balkan peninsula or a small and rainy island might have created the most enduring ideas and inventions while having the greatest military might and empires of their times. When I was in Korea sometime back, I thought their society very much superior in many ways. High IQ made itself obvious in everything from monumentally more effective city planning to more subtle signs like having a whole TV channel devoted to the game of go. But watching crowds stand patiently at crosswalks, almost in rank and file, even when no cars were nearby told me in one instant why they’ve never conquered the world and why their cousins in the North consent to be ruled by one of the world’s worst governments. A nation of Africans with 100 average IQ would have potential to become far more dangerous than they are. Neurotype and temperament matters in people just like it does in breeds of dogs—it’s just considered very impolite to notice. I found an insightful essay by an Israeli writer, Uri Avnery. The trends of centralization until the World Wars and decentralization ever since has been a favorite topic of mine. As I like to say: The main source of national cohesion is the fear of other nations. “If I am not mistaken, it was Gustave Le Bon, the French psychologist, who asserted a hundred years ago that every new idea is already obsolete by the time it is adopted by the masses. “THE OBSOLESCENCE of the nation-state has given birth to a paradoxical by-product: the breakup of the state into smaller and smaller units. “NATIONALISM WAS a European idea. 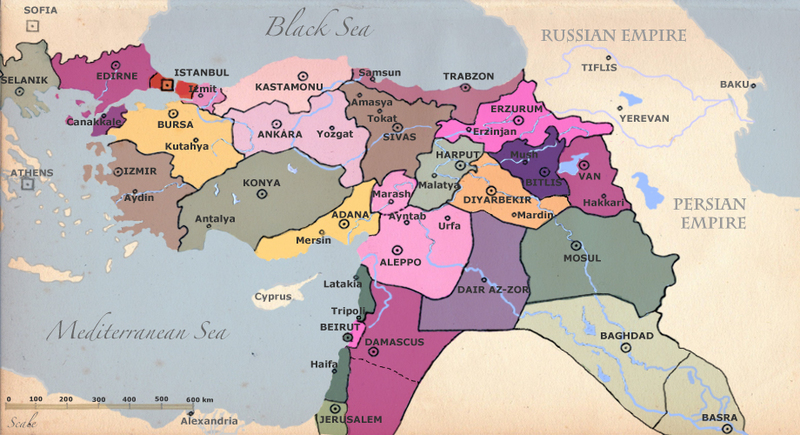 Ottoman Empire before its non-Anatolian provinces were split up after WW1 into modern nations. Crowdsourcing, A Modern Patronage System? Last post, I discussed the difference in creative output between an older system of patronage and a modern system governed by the mass market. Older societies could turn out brilliant creative work with far fewer resources and people because a limited number of people called the shots. What’s for everyone is for no one. A creative work that’s commissioned serves the vision of a patron, a work exposed to the forces of the mass market merely tries to please the most and offend the fewest becoming a grotesque Tower of Babel. The internet has enabled a phenomenon known as crowdsourcing, a process by which an idea gets funding from just the people who want it. This process has the potential to create a modern sort of patronage. The idea that gets created exists to serve a limited group rather than the entire aggregate mass of humanity. I have found an inspiring example in a youtube channel called The Great War. The founder, Indie Neidell covers each week of WW1 as it was happening 100 years ago with lots of special episodes in between. The show is filmed in a studio with a production crew and gets its funding from a crowdsourcing site called Patreon. With a fraction the funding of a third rate History Channel special, they have done more than the History Channel could ever have aspired to. The Great War now has many hours of runtime, hosts active discussion on its videos and reddit, and caters only to those who pay for it. So if enough viewers want an episode about Bulgaria in WW1 or French WW1 Uniforms the episode appears. Even as a kid, I referred to the History Channel as “The Lost Secrets of WWII Channel” or the “The Lost Secrets of Nazi Superweapons Channel.” And this was years before they descended into airing little more than reality shows. Shackled by the tyrannical mass market, the History Channel was slave to the few events and passions that register on the popular consciousness. They can cover a comic book WW2 endlessly, maybe get away with the American Civil War every once in awhile. Other than that, conspiracy theories about Atlantis, the Bermuda Triangle, the Knights Templar, and lost tribes of Israel sell far better. They no doubt have millions of dollars to spend, but by comparison to The Great War, they’re a joke. We can see how commissioned creative work can be orders of magnitude more efficient with results that can be exponentially better. This gives us a glimpse into how relatively impoverished societies of the past did as well as they did. While big individual patrons like the Medicis or Carnegie remain in the past, the internet is enabling people who want the same things to get together and create sheltered markets protected from the insipid Many. Without this protection, people who want a show about Lettow-Vorbeck’s brilliant campaign in German East Africa in WW1 have nowhere to turn, for they are a drop in a great ocean, swallowed up unless they find a way to escape. Furthermore, The Great War shows us how crowdsource patrons can form a community around the work they sponsor. Those who watch enough episodes see how repeat commenters gain a reputation and begin to notice the recurring in-jokes. It’s an environment where participants feel a sense of ownership and belonging, at least far more than most of us can feel towards impersonal modern institutions. I could see these sorts of affiliations among the possible catalysts for cultural secession and the creation of new tribes within obsolete nation-states. By the 1780s, France and Britain had approximately the same debt after spending huge sums fighting over the American colonies. One recovered and the other collapsed into revolution. The difference was their systems of finance and taxation. While the outstanding war debts may have been the same, the interest rates were not. Bourbon France had to pay twice as much interest on its loans as did the British. And that made all the difference. To begin with, the English system relied far more on indirect taxes and tariffs for its income. The French system meanwhile focused on many direct taxes that ended up discouraging economic growth. The result was that by the time of the French Revolution, England yielded more tax revenue despite having only 1/2 the population of France. Britain and France were set apart most of all by their systems of credit. England had relied on the world’s 1st national bank since 1694 to efficiently raise large long term loans. 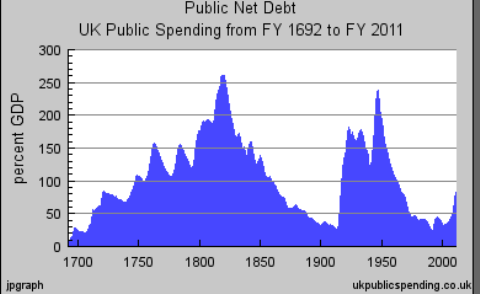 At the same time, new loans kept flowing and interest rates dropped because the English parliament had the power to consistently raise enough taxes. The stability of this system drew in a steady steam of further capital from Dutch investors. The French crown on the other hand relied on a host of middle men—tax farmers, nobles, high ranked clergy, lenders, and merchants for loans, at high rates of interest. Without a central source to consolidate its loans, the crown found itself struggling to raise money quickly, keep track of its loans, or pay interest. Worse, in the French system of direct tax farming, it was more profitable to farm taxes and loan out advances than it was to start businesses and engage in productive industry. The French system encouraged parasitic plunder while stifling real economic growth that would produce more wealth in the long run. I honestly don’t see the need for war. Ukraine has been paralyzed by conflict between ethnic Ukrainians and Russians since the collapse of the USSR. I think the government in Kiev is actually better off without them. My guess for now is parts of Eastern Ukraine, especially Crimea, could end up going back to Russia. The Russians get to be part of impoverished Russia. The western part is finally freed to become part of Europe and to join the rich EU. Russia gains a bit more territory but at the cost of becoming even more diplomatically and economically isolated. Even more relegated to being a mere commodity provider for rich countries. It’s not a good move for Russia. They may actually be doing the Ukrainians a huge favor. Perhaps the Russian leadership are savvy enough to understand that pressing this issue won’t help them beyond a certain point and are again posturing in an attempt to boost public opinion at home and boost their appearance of prestige abroad. Yanukovych was Putin’s man in Kiev. He was an ethnic Russian from the East who wasn’t even fully fluent in Ukrainian, a shortcoming which made him the George W. Bush of Ukraine, sticking his foot in his mouth at every opportunity. Irrepressible protests arose after he tried to distance Ukraine from the EU in November and there was a revolution that completely ousted him from power. I find it odd that present news reports barely even mention the Ukrainian revolution that drove Putin to invade Ukraine. With events out of context, few seem to understand that Putin is the desperate man, trying to salvage what he can from a wreck beyond all repair. Ukraine is lost to him forever now and it’s only a matter of time now until it becomes part of the EU and NATO. Putin will seize what scraps he can but even those will come at a precipitous price. He spent the last 20 years trying to keep the former Soviet Republics in his orbit, so it’s understandable he’s not acting completely rationally. 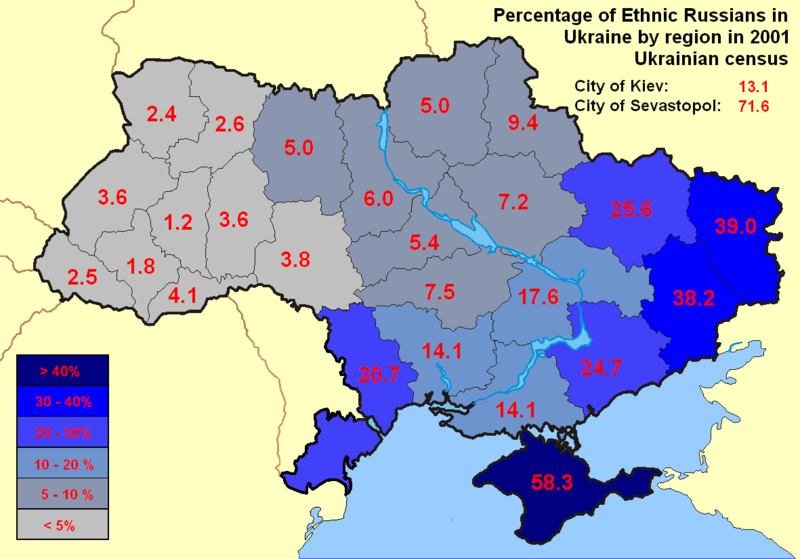 I’ve looked at an ethnic map of the Ukraine and have understood that ethnic Russians are barely 1/5 of Ukraine’s population. They’re concentrated in the East. Crimea is the only part of the entire country that’s majority ethnic Russian. That may well be the only part that goes back to Russia. I can see people making comparisons to Sudetenland concessions, but I find them ridiculous. Nazi Germany was an economic powerhouse while Putin’s Russia is a sick man of Europe. In time, even Russia will be pulled into the economic vortex that is Europe; even their political power plays will amount to nothing, like one tiny person trying to swim against the current of a river. Many modern day nationalists look back fondly on a fabled age where the Turks were twice driven back from the very gates of Vienna. What they never seem to mention is that plenty of European powers would have liked to see the fall of Vienna and with it the threat of Habsburg power. The Habsburgs were the European superpower of the time, with the crowns of the Spanish and Austrian empires united under one family, which included enormous bullion rich territories in the New World. 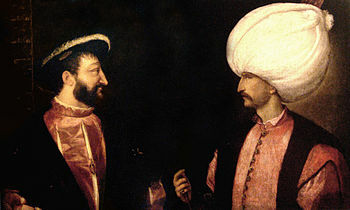 European powers such as France were more than willing to make deals or even alliances with the Ottomans if it meant taking some pressure off of them by diverting the overwhelming military power and wealth of the Habsburgs. I’ve met far too many people who like to interpret Euro history first as a conflict between Christianity and Islam when the truth is far more complex. this astounding man foresaw the airplane, television, movies, submarines, automobiles almost the whole range of modern discoveries. Many of these predictions arose in Bacon’s “New Atlantis”, where he writes about an idealized society ruled by scientific method and where the rulers are scientists. Not only did Bacon’s ideas lead to modern science and the enlightenment, but he also predicted something very like the modern secular state. I find Bacon interesting because we see in our present world enlightenment ideas taken to an absurd extreme by ideological types. Bacon was a shrewd politician and statesman who had a nuanced understanding of the real world. He would never have believed in childish black and white extremes such as “a war of all against all” or a “noble savage” that plague our civilization to the present day. I imagine he would weep if he came back and saw where the intellectual movement he helped begin has ended up. 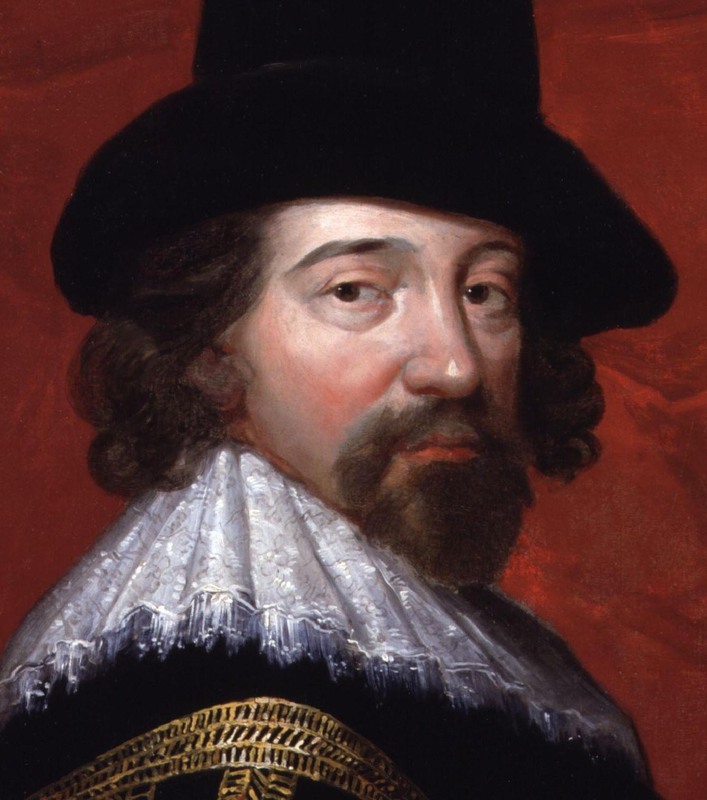 Francis Bacon perhaps gives us a glimpse of what the “enlightenment” could have been like had it been guided by worldly wisdom and savvy rather than reckless idealism and bookish wishful theory. Philosophy was his hobby after his day job as a senior figure in Elizabeth I’s government. Then he would have introduced half a million Chinese Nationalist troops at the Yalu and then “spread behind us — from the Sea of Japan to the Yellow Sea — a belt of radioactive cobalt . . . it has an active life of between 60 and 120 years. MacArthur knew his push deep into North Korea might trigger a counter-offensive from China and he had a plan to prevent a possibility that soon became a nightmare reality. 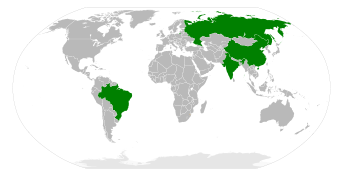 Brazil, Russia, India, China. The so-called BRICs. 3 Dictators Who Weren’t Pure Evil? Usual claim to fame: Kidnapping political opponent and future South Korean president Kim Dae Jung from Japan in broad daylight and taking him out for a ride on a boat. Kim Dae Jung came within minutes of “sleeping with the fishes” and certainly would have if not for immediate US diplomatic pressure. The Dictator Park was known for allowing torture, the creative use of electric shock was a specialty during his rule. 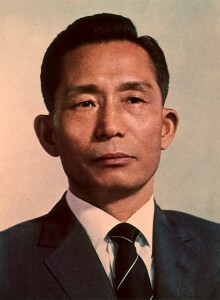 Above all he turned South Korea into corporate oligarchy mainly concerned with the needs of a few ‘chaebol’ mega-companies. Funny how they never seem to mention that both North and South Korea were dictatorships for decades. Not Pure Evil? 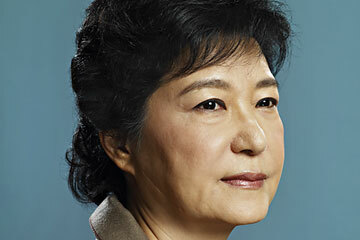 : Park despite his abuses is commonly credited with getting things done and putting the infrastructure in place that has allowed South Korea to become the economic superpower it is today. Bonus: His daughter is now the president of South Korea. Not Pure Evil? 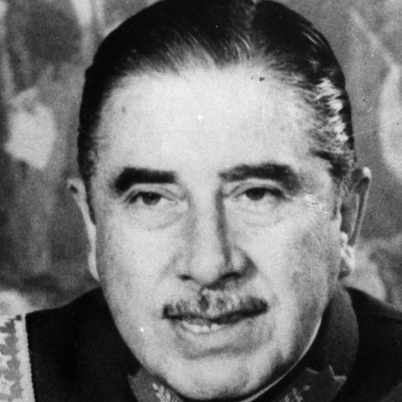 : Pinochet turned around Chile’s economy overnight using his dictatorial power to simply get things done. Ever since, Chile has consistently been the most prosperous and stable country in South America. Bonus: His look has had enduring influence. Also, the only of these 3 dictators to die from old age…in his 90s. Not Pure Evil? : Like the other two dictators Trujillo is credited with strengthening the economy and infrastructure of the Dominican Republic despite making the country into an oligarchic nepotocracy. Perhaps more remarkable is Trujillo’s establishment of a system of national parks, regulation of logging and slash and burn farming. The results of Trujillo’s policies speak for themselves. 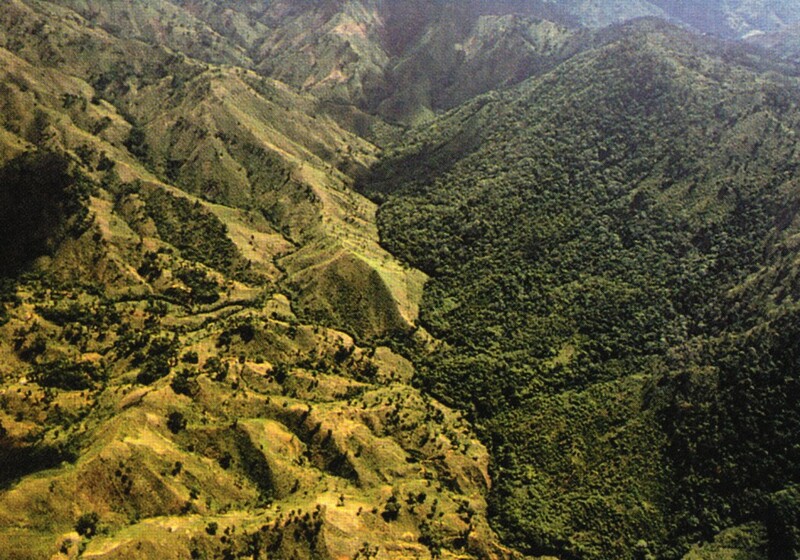 Here’s a picture of the border of Haiti and the Dominican republic. Bonus: How many dictators could be marketed to the green and “fair trade” crowd? Couldn’t you envision him with that trademark smug smirk on the front of a bag of organic coffee?